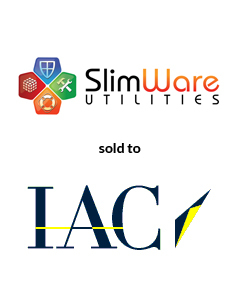 AGC Partners is pleased to announce that its client, SlimWare, a leading provider of cloud-based personal computing optimization solutions, has been acquired by IAC. SlimWare offers a unique, highly-scalable, cloud-based platform that leverages crowdsourcing to create a powerful online community of over 20 million users. With a team led by Scott Card and Amit Kashyap, AGC Partners acted as sole financial advisor to SlimWare.